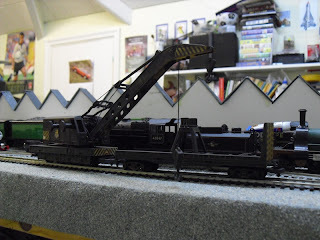 THE BRITISH RAILWAY STORIES LTD: "Crane Crazy"
I dare you to try and say that blog title out loud. It's harder than it looks! I've wanted to get a crane for the layout and film set for a while now. Adds some form of operational interest in the background for scenes, and if I ever film a crash or similar...good for shots showing the aftermath! 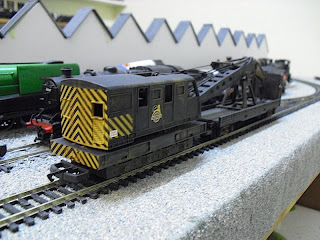 So I decided to invest in the bright yellow "Railroad" crane (got for £12, an absolute steal) - and put it in a fictitious livery, that would better suit the overall look of The British Railway Series, and give me something to play around with. 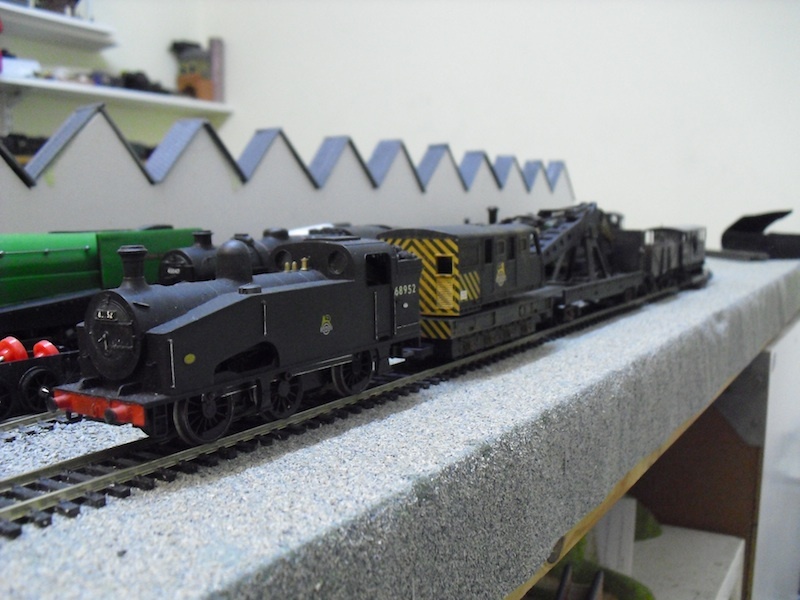 I removed the British Railway double arrows, and a few other bits of printed detail (as I have ordered some generic numbering from Fox Transfers and will give it a fictional identity), using nail varnish remover. Potent stuff, use it sparingly with a cotton bud. I then masked up the wasp stripes - something I wanted to keep - and sprayed the rest of the model "Chaos Black" (from the Gamesworkshops range of Citadel Paints - it's an acrylic paint, and an extremely useful base paint). I then added the BR cycling lion logo, then varnished it using Ardcoat (a varnish, again from the Citadel Paint range), before turning to my trusty mix of Tamiya weathering powders for a quick going over. The final stage was to add light sprays of "Purity Seal" - a sealant, again from the Citadel range - seal the powders and tone down the black paintwork. What has resulted is, I hope, a well work look that doesn't look destined for the scrapyard. Overall I am chuffed to bit with how cheap the project was. At £12, I am planning to get another and do the same method all over again. I know it's not accurate in any sense of the word, but when you're strapped for cash, and an alternative presents itself, you go for it. 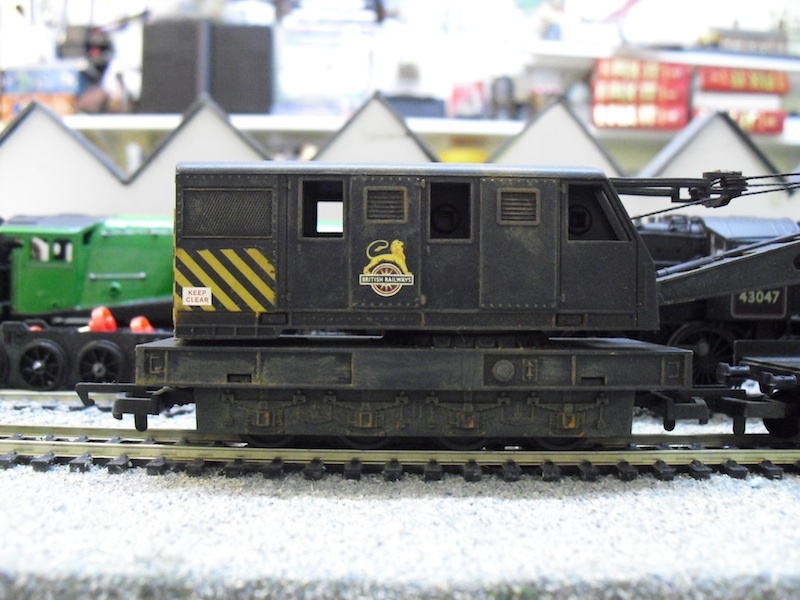 Plus, I happen to think it's a handsome modification that looks tonnes better than the yellow corporate blue alternative!